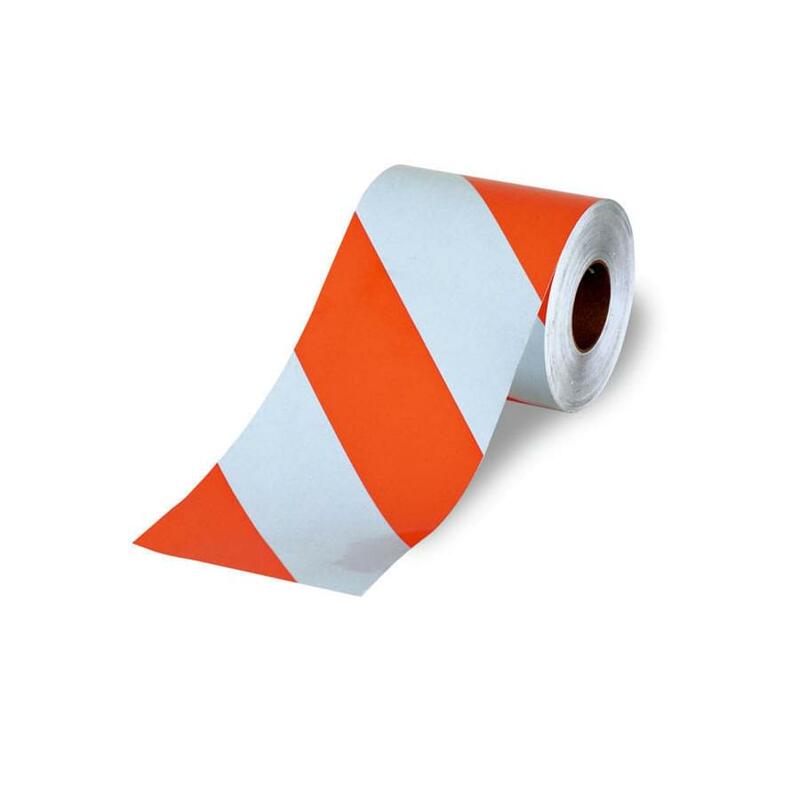 TrafFix can apply these rolls of pre-striped barricade sheeting to a specially extruded roll of flexible yet durable plastic. 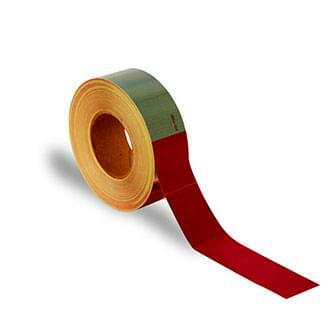 This roll of barricade sheeting on plastic can be easily cut to desired lengths and nailed or screwed to wood panels. 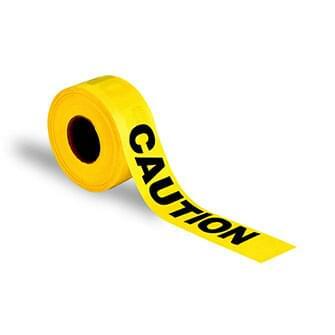 The reflective barricade sheeting on plastic strips can be salvaged and reused when the wood panels are broken. Pressure sensitive pre-striped barricade sheeting is available in 8" and 12" widths in 300' rolls. Available in left or right stripes in 4" or 6" widths. 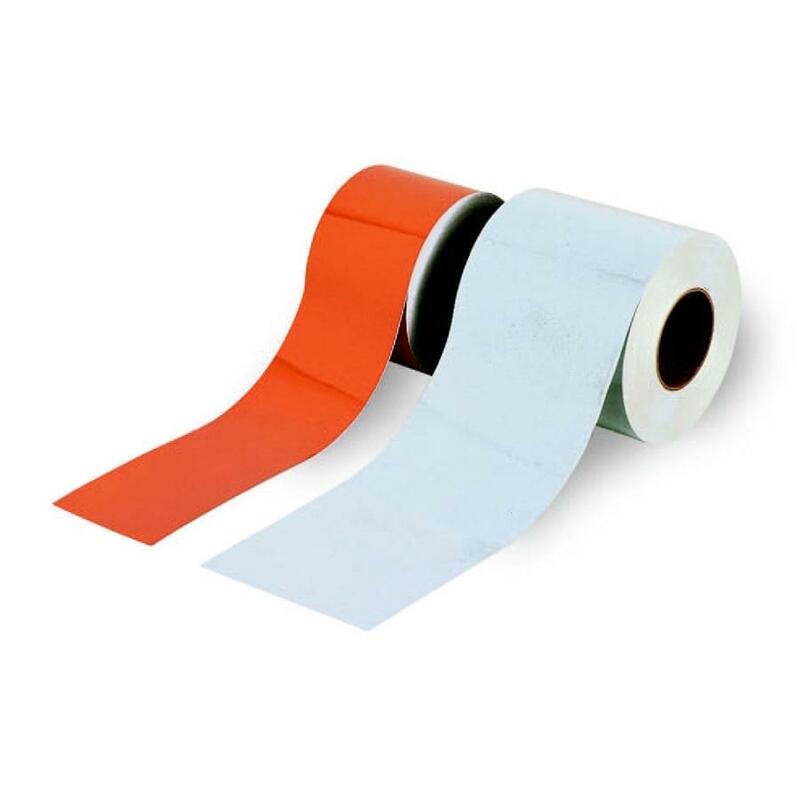 Channelizer Drum replacement reflective sheeting comes in 4" and 6" widths by 150' rolls. 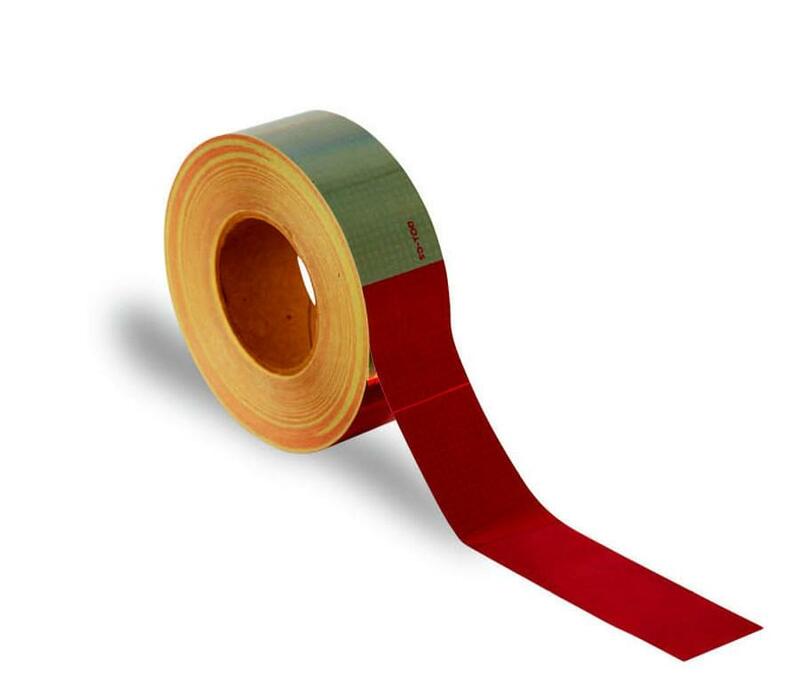 Highly Reflective Vehicle Conspicuity Tape is 2" wide and 150' long. With alternating red and silver stripes. Non-reflective Yellow Caution Tape comes in 1,000' rolls.